Ever since becoming a nutritionist, I can count the number of times I’ve been sick on LESS than one hand! It is definitely something I tend to sort of brag about 🙂 I used to get sick at least 2-3 times a year. The few times that I have gotten sick in the last few years have tended to follow me accidentally eating gluten, as my body is totally out of whack for a week or so after that, or just overdoing it a bit too much and burning the candle at both ends. Interestingly, I wouldn’t say there’s any miracle supplement for not getting sick, but rather a few simple things that you can incorporate into your daily routine to have your body more prepared to fight whatever bacteria or virus gets in your system. Kefir – for those non-dairy peeps, there is water kefir! BIG REMINDER: Careful as you pump that hand sanitizer all the time. Hand sanitizer (just as it markets itself, kills everything – good AND bad). Washing your hands with regular soap, should be enough. Studies show an inverse relationship between vitamin D levels and respiratory tract infections & flus. That means – the LESS vitamin D you take, the more likely you are to get an infection! Not only is a vitamin D deficiency associated with infection, but it is also associated with an increased ‘autoimmune’ incidence (think arthritis, Celiac, asthma, diabetes, MS, Graves disease, psoriasis)! Now, unfortunately very few foods contain vitamin D…Salmon & eggs have a tiny bit but your best bet is to get some sunshine!! For us Canadians (and a lot of Americans), it’s just unrealistic to get enough Vitamin D daily due to our weather. If you’re not out in the sunshine for at least 30 minutes a day, you should be taking a Vitamin D supplement, in D3 form. This is not the tastiest of options, but certainly works! Meant just for short term use, take 4-6 drops under the tongue at the very first sign of a cold. Oil of oregano contains something called carvacrol, which can break through a cell membrane to protect against bacteria. Bonus – it’s also great for digestion! HEAL Challenge: Choose at a minimum 2 of these recommendations and implement them now! 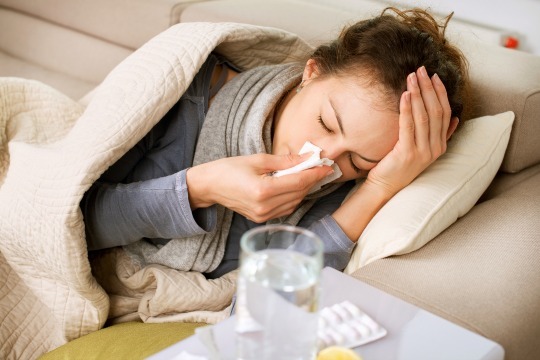 Please share this article with your family and friends, because nobody likes getting sick! !